I liked it. Like, a lot. It’s kind of a problem. All I want to do is watch it again and again. It’s so hard to pick a favorite Harry Potter book, and generally my favorite is whichever one I’ve read most recently. But Deathly Hallows is way, way up on my list. There’s just so much. The kids, they are adults now. No more Dumbledore, no more Hogwarts, no more safety and security of castle walls, of knowing everyone around (well, almost) has Harry’s back. Deathly Hallows is all about Harry alone, armed with just his friends and a sketchy outline of what to do to help him survive. I had a discussion once, not long after Deathly Hallows was released, about what Harry’s “specialness” was. 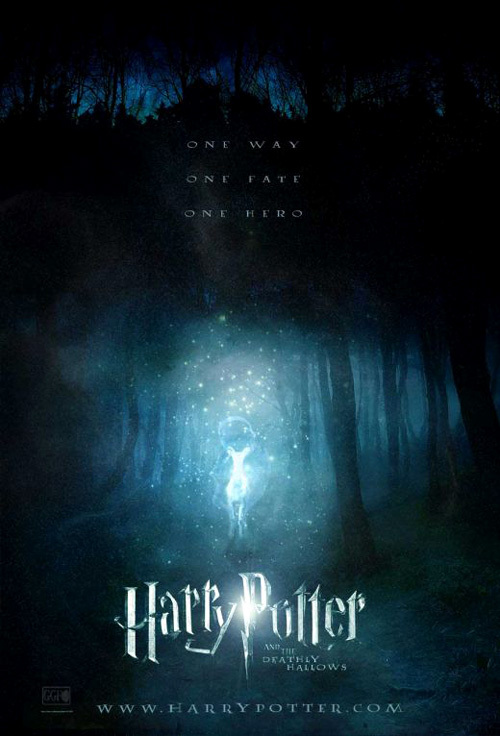 An acquaintance pointed out how throughout the series everyone goes out of their way to point to Harry’s “otherness” amongst wizards and witches. Yet we’re never told what is so special about Harry Potter. Point of fact, Goblet of Fire goes to great lengths to show that Harry often needs guidance and a helping hand to get him through. And then we find out about his mother’s sacrifice and its subsequent charm and it seems there is nothing special about Harry. That Voldemort chose him because of surface similarities and nothing more. But I think Harry was special, that there was something more about him—beyond his mother’s protection, beyond Dumbledore’s favor and beyond those superficial likenesses with Voldemort. For Harry was strong. Don’t you remember, in Azkaban, when he first successfully casts a Patronus, how taken aback Lupin was by its strength? His natural flying ability is basic athletic prowess. His stubbornness, his obstinacy, his sense of right and wrong—all of it feeds a great strength. This, I think, is what Voldemort and Dumbledore both saw in a one-year-old baby. It’s what caused Voldemort to spaz and attack the Potters. Strength. And think about it—once Harry gets serious about finding Hallows and destroying Horcruxes, Deathly Hallows moves pretty fast doesn’t it? Once Harry determines to do something, he does it until it’s DONE. It’s that quality of strength that these great old wizards picked up on, it’s what Voldemort didn’t see in Neville Longbottom. Which brings us to all the wonderful things in the first part of Deathly Hallows. Voldemort skipped over Neville Longbottom, electing to make Harry his archnemesis for the reasons I believe, above. So that quick scene on the Hogwarts Express, with the “Snatchers” searching for Harry, when Neville stands up and says, “Oi losers, he isn’t here,” is a wonderful nod to Neville’s place as the leader of the “resistance” at Hogwarts. In Harry’s absence at school, Neville takes up the reigns of Dumbledore’s Army, and ultimately it’s Neville’s organized raiders that are Harry’s first line of defense for the Battle of Hogwarts. This is a terrific moment of growth for Neville, and it illustrates that though Neville might not have scared Voldemort like Harry did, Voldemort made a grave error in underestimating the bumbling son of the Longbottoms. That opening scene with Hermione was so lovely. It gets a throwaway mention in the book that Hermione Obliviates her parents to protect them from Death Eaters, but by opening with Hermione in her parents’ house, looking around for what is likely the last time, the movie grounds us in the reality that this is not the Wizarding World as we’ve known it. This is not a safe place. This is now a place of terrible sacrifice. If you’ve read Chamber of Secrets, you can’t help but think about how hard it is to recover memories after a strong Obliviate charm has been performed as you watch Hermione fade out of family photographs. And you know Hermione. Her spells are nothing if not flawlessly executed. Also poignant—did you catch on that every place Hermione Apparated them to was a place she visited with her family? The Trio wandering the English countryside is often accused of being the boringest part of the books, but the movie handles it well. First, they move through this portion pretty quickly, comparatively. These scenes are broken up by tense encounters with “Snatchers” as well as the Trio’s visit to the Ministry of Magic (more on that later). 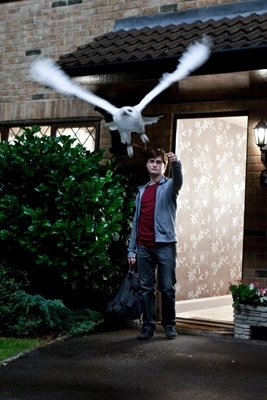 And then of course the climactic moment when Ron leaves. Rupert Grint’s finest moment in this movie came when he railed at Harry, the years of suppressed jealousy exploding out of him. 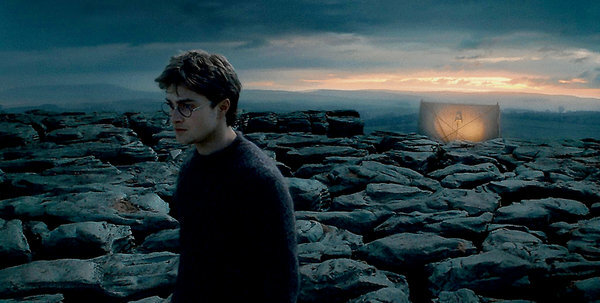 Hermione’s devastation is awful to watch, and when Harry can bear it no longer he sweetly asks her dance in their tent. No words are needed and this single scene more than any other moment in the movies illustrates how deep is the friendship between them (yes, even more so than their moment reflecting on unrequited love in Half-Blood Prince). Daniel Radcliffe knocked it out of the park, didn’t he? He literally had to shoulder large chunks of this movie and he did so ably. His confrontation with Dolores Umbridge was terrific—all that loathing and hatred directed at a black hole of humanity. And when, in the end, he clutched Dobby and begged for someone to help save the dying elf—there wasn’t a dry eye in the house. I’ve long believed Radcliffe has a career far beyond Potter and this movie is the first glimpse (in theaters, anyway) at what he will be capable of going forward. 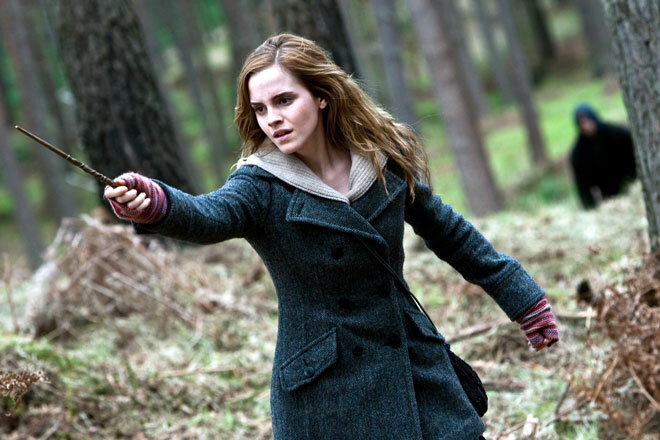 Emma Watson also had a standout moment in the torture scene. You really got a sense that Bellatrix was breaking her yet she still held on. The sense of humor woven throughout the film really kept it from being unbearably dark and tense. The early scene with Mad Eye Moody and the “Polyjuice Harrys” was classic. Again, Radcliffe h ad to sell this to us but the combined voiceovers of the character actors was a deft touch. The image of Radcliffe in a bra, cowering into Bill Weasley as Fleur (Clemence Poesy, 127 Hours, In Bruges) says, “Don’t look at me, I’m hideous,” is classic. My favorite humor moment came at the end, from Dobby. How great was it, in the middle of that tense stand off with Bellatrix, when the squeaking noise registers and there’s Dobby, unscrewing the chandelier. Then his line, “Dobby did not mean to kill. Dobby only meant to maim, or perhaps mysteriously injure.” CLASSIC. Which only made his death so much harder to take. That animated sequence with the story of the Peverell Brothers was marvelous. Really, really beautiful. The visual effects overall were spectacular. Creatures like Dobby and Kreacher blended perfectly into their environment and the effect for Apparition looked especially slick this time around. Actually, the whole movie looked phenomenal. Cinematography was handled by Eduardo Serra (Defiance, Blood Diamond), who provides some lovely bleak visuals, especially in the Forest of Dean and whatever coast that was with Bill and Fleur’s cottage at the end. I really loved the whole look of Deathly Hallows. I want to live in Grimmauld Place. The casting is, as always, epic and almost pitch-perfect. I didn’t love Bill Nighy as Rufus Scrimgeour as much as many people did, mostly because I recognized his “Davy Jones” voice from Pirates of the Caribbean and I hate it when actors recycle, especially when this is Harry Potter and you bring your Extra. 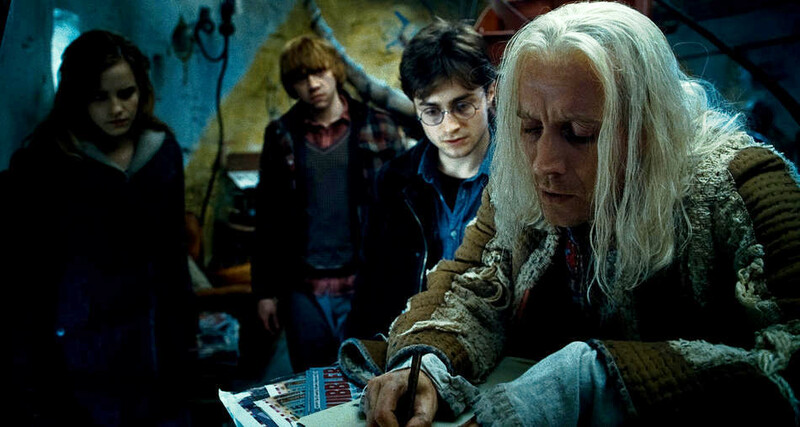 But I LOVED Rhys Ifans as Xenophilius Lovegood, Luna’s father. He was hardly recognizable and yet the perfect choice for the magical world’s ultimate hippy. And his little moment with Luna at the Weasley wedding showed that Luna really is his whole world. It makes his betrayal of Harry so much more understandable. And of course, Brendan Gleeson remains a brilliant stroke as Mad Eye Moody. So sad to see him go. They got really lucky with the Weasley twins, didn’t they? Who knew, nine years ago, that James and Oliver Phelps would grow up to be so bloody hot? Forget Prince Harry—James and Oliver are the hottest gingers going in Britain. And it was so crushing, wasn’t it, Fred’s stricken face when he sees George has been hurt during Harry’s escape? Your mind can’t help but go There, to That Other Devastating Scene. The twins ruin me. Another newbie to Harry Potter is composer/conductor Alexandre Desplat. I hated hated hated his score for Twilight Eclipse (CORRECTION: Eclipse was scored by Howard Shore so Desplat is off the hook–his New Moon score wasn’t bad), but here he turns in a haunting melody loaded with new themes. I missed the now-iconic “Hedwig’s Theme”—though he does acknowledge that bell part right off the top—but the new, darker music for Harry and his friends made up for the loss. You could really feel everyone throwing all the spaghetti at the wall on this one—not one single thing was left undone. 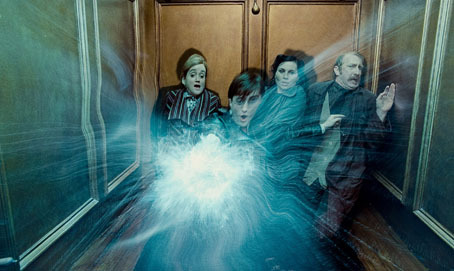 Which brings us to my absolute favorite scene—the raid on the Ministry of Magic. The casting was so flawless here—David O’Hara (veteran Scottish character actor lately of HBO’s The Tudors) as Runcorn, the Ministry worker Harry impersonates via Polyjuice Potion was the standout for me. Sophie Thompson (Eat Pray Love) as Mafalda Hopkirk was good, but she had little to do in this scene compared to O’Hara and Steffan Rhodri (largely of British TV) as Reg Cattermole—Ron’s impostoree. Rhodri affected all of Ron’s panic and distress that we know so well and his real concern for the real Cattermole’s wife, in the Ministry’s clutches. His moment with Death Eater Yaxley (Peter Mullan, more terrifying than he’s been recently) was both genuinely funny—of course Ron is the one to mouth off while they’re attempting to break into the Ministry—and fraught with real peril. But it’s O’Hara that makes scene. You can practically see him chanting, “Act natural,” as he walks around the Ministry, placing his feet so carefully that of course he looks ridiculous. And when he sees the “hit list” files in Umbridge’s desk, that’s fully Harry behind the stranger’s face—angry and sad and frustrated to see his friends and family, some with X’s over their photos. This scene made the whole movie for me. It perfectly exemplifies just how right everything about Harry Potter is. And that’s what Deathly Hallows was to me: Just right. Not absolutely perfect, not exactly like the book, not enough, too much, give more, show me less—it’s all of those things and still it’s just RIGHT. It’s just enough. It’s what I wanted without articulating what exactly that was. It just is. Exactly right. The twins are ridiculously hot. I was born a ginger so I’ve always had a soft spot, but bloody hell, what I wouldn’t give! Also loved the Harry possessed Albert actor completely nailing Harry/DanRad’s walk! I need to go see it again. Immediately. I think the biggest theme of HP7 is sacrifice. The sacrifices that everyone makes to win this war get into every corner of this story. The sacrifices of one family, the Weasleys. The sacrifices of friends, Hermione and Ron. Everyone in the Order gives up their safety. The three give up their youth and the time they could be spending on young love. Harry, our hero is constantly willing to risk it all to find out how to beat the Dark Lord. How much they have all given to save their world is remarkable. They are really all heroes. And they are ridiculously attractive. Them, and in real life, NEVILLE. Dude. I thought the movie was extremely compelling, which is impressive given that it involves a lot of moving the story along and not a lot of resolution. Important stuff, but it’s the middle of the story, and it feels like the middle of the story. They only find/destroy one Horcrux! I’ll admit that I got nervous during the initial moment of the Harry-Hermoine dancing scene, but even in that split-second of “WAIT …” it was just hard to believe that they would mess with the story that way, ever, ever. And sure enough, it ended up being the sweetest moment, made all the more sad by the fact that after letting go of her worries for a few minutes, Hermoine ended the dance with her beautiful face just as sad and broken. One of the very few complaints I had about the movie is actually from the Ministry of Magic scene (which on the whole was brilliant). 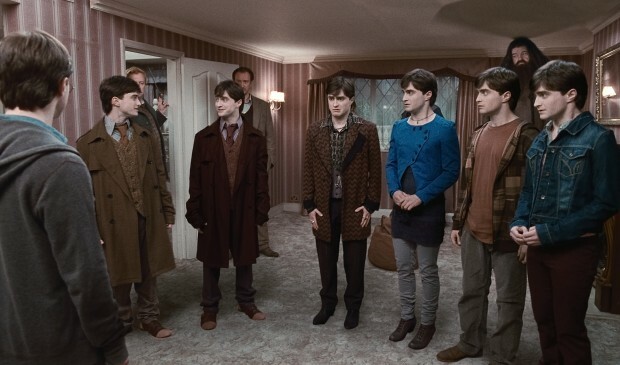 It was how long Harry stood there in the lobby after the Polyjuice Potion wore off, unrecognized and without incident. Seriously? Harry Potter? In the lobby of the Ministry for 5 minutes while Ron extracted himself from his faux-wife? Okay, not really that long, but I kind of feel like he couldn’t show his face for 5 SECONDS in the midst of a bunch of wizards without notice. Don’t know why that bugged me, but it did. That and my lingering disbelief that the Death Eaters wouldn’t know Hermoine and Ron on sight when the Snatchers deliver them to the Malfoys’. Tiny little things among SO MUCH GOODNESS. Leaves me aching for Part 2. I agree with what you say about Harry’s strength, but I don’t think that’s necessarily why Voldemort chose him. I mean, it’s not like he every saw Harry before deciding to kill him. Mainly, though, they point out in the book that Voldemort chose the boy who was a half-blood like himself, rather than the supposedly superior pureblood (Neville). But maybe your theory is an aspect of that. Also, I wished they had been able to keep the goodbye scene with the Dursleys, though I understand why it was cut. But I really liked it in the book. Great Review, I agree on almost everything. I have to say overall it was great, but the “vision” that Ron had when he came back annoyed me. The glittery, harsh Harry & Hermoine shouting at him in the smokey mist… I giggled then got angry. It was way too awkward. I also found the friendship dance between Harry & Hermoine almost awkward to start, it was a split second of “no, no, no, wtf” then “ahhh *sigh* yesss” I was worried they’d take it too far, but it was just right! I hated when it ended, but it was the perfect spot… I seriously do NOT think I can wait for the next one…. 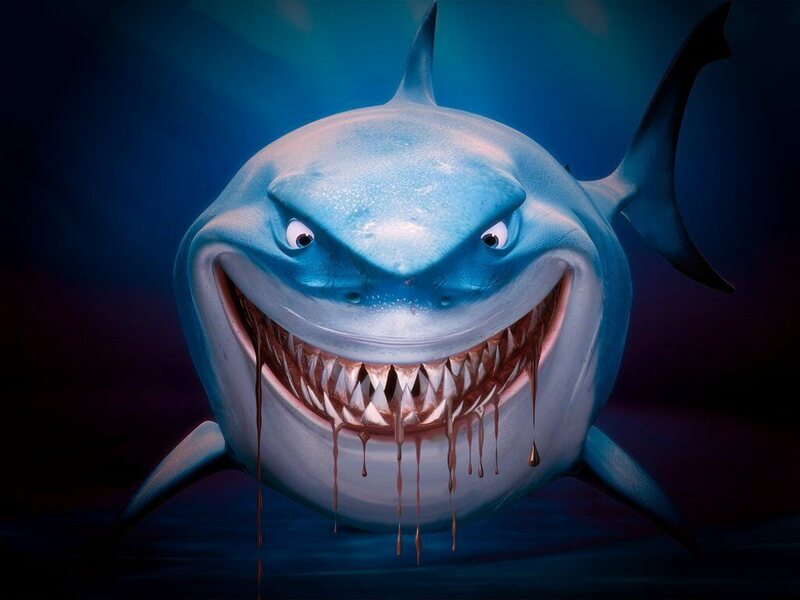 so much to come, good and bad…. Great review! I, too, love all the HP movies, and thought this most recent one was excellent in so many ways. I’m also a huge Twilight fan, and I wanted to clarify a comment you made about the Eclipse score. Alexandre Desplat did the score for New Moon–it was Howard Shore who composed the score for Eclipse. I was not a huge fan of the Eclipse score, either–just wasn’t that memorable for me–but I still think the New Moon score is my favorite of the 3 movies so far. 🙂 I love the different beautiful themes for each of the 3 main characters.